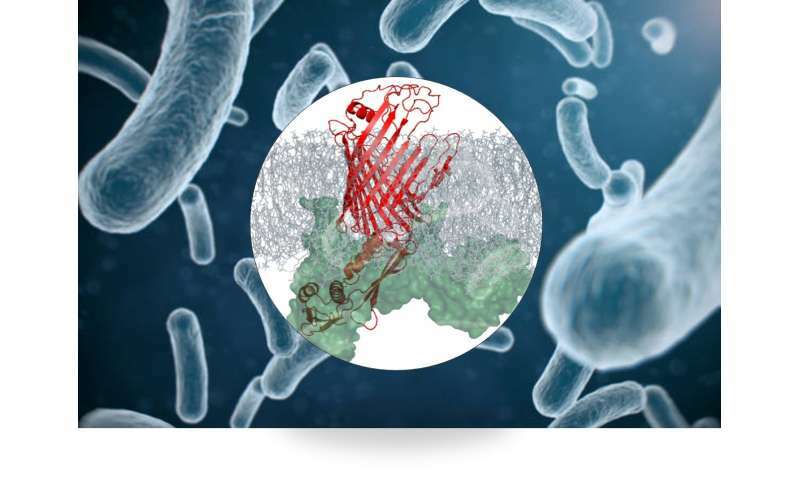 Researchers at Utrecht University have gained new insights into the structure and function of a protein complex that maintains the outer membrane of a bacteria. Shutting down this protein complex makes it impossible for the membrane to maintain itself, causing the bacteria to die. This protein could present a promising target for novel antibiotics. The researchers will publish their findings in Nature Communications on 8 October. "Many of our current antibiotics kill bacteria by making a hole in the outer membrane," says Marc Baldus, professor of NMR Spectroscopy and lead author of the publication. "With this new knowledge, we now know that we can attack the membrane in another way: by preventing the bacteria from maintaining its membrane. It's as if we'd found another way to sabotage a car—not by destroying the engine, but by deactivating the oil pump, which causes the car to overheat and break down on its own." Scientists have long known that this protein complex plays a role in the bacteria's outer membrane. "But we didn't know exactly what role that was," Baldus explains. 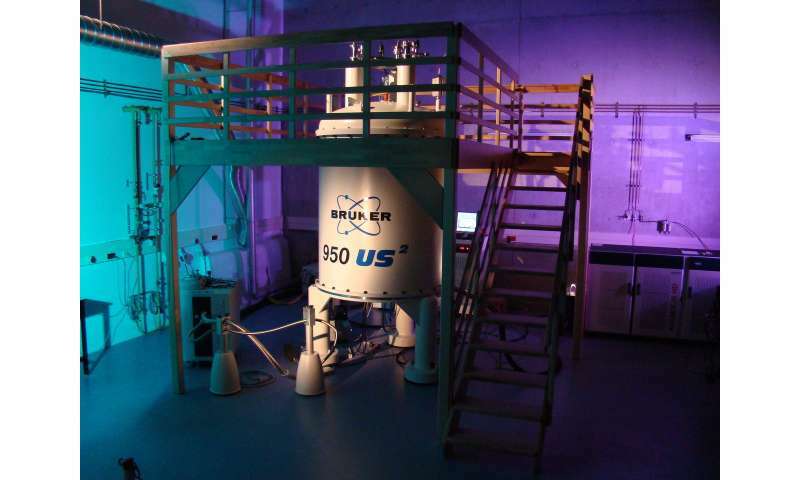 The researchers studied the protein complex using NMR, nuclear magnetic resonance in functional membranes. "It works a bit like an MRI scanner at a hospital, but then at the atomic level. For the first time, we've been able to watch the protein complex in action, which helps us to better understand how the protein machine works, and that it is essential in keeping the cell alive." These insights could lead to new types of antibiotics, Baldus says. "Bacteria that have developed a resistance to current antibiotics are still susceptible to this new area of attack." Antibiotics resistance is a growing problem, and an increasing number of bacteria are able to defend against the available medications. "We'll still need to do a lot more research to develop this new type of antibiotics, but this knowledge is a vital first step forward."